Arkansas State University will host the national organization that manages efforts to grow the endangered American red wolf population as the university considers development of an educational breeding facility in Jonesboro. The Little Rock Zoo, ASU, and the Endangered Wolf Center in Eureka, Mo., will hold a red wolf species survival plan meeting in Little Rock July 23-25. Leaders from at least 40 facilities across the country that protect and breed the approximately 200 red wolves in captivity are expected to attend, according to ASU. The U.S. Fish and Wildlife Service (FWS) announced in September 2016 that the captive population must be doubled prior to consideration of a new recovery effort in the wild. The red wolf was listed in 1967 as endangered under the federal Endangered Species Preservation Act. The first red wolf captive breeding program was created in 1969 at the Point Defiance Zoo & Aquarium in Tacoma, Wash., with the first litter of pups not born until 1977, according to the FWS. In 1980 the red wolf was declared biologically extinct in the wild. Reintroducing red wolves into the wild began in 1986 at the Alligator River National Wildlife Refuge in eastern North Carolina, with the population peaking at an estimated 130 wolves in 2006. The red wolf was also reintroduced into the wild in the Great Smoky Mountains National Park in 1993, but the program ended in 1998 because of lack of food resources for the wolf. The reintroduction program was halted in 2015 to gather “additional science and research into the feasibility of species’ recovery,” according to FWS. Dr. Thomas Risch, interim associate vice chancellor of research and professor of animal ecology, will be among the presenters at the conference. 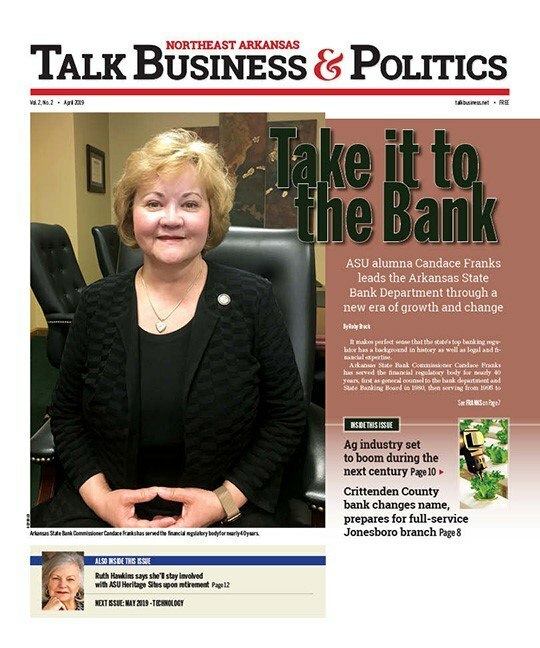 He will update participants on the work of the national specimen bank and discuss the efforts of ASU’s new Red Wolves for Red Wolves organization. ASU will solicit information regarding best practices for breeding facility operations, he said. Risch has been invited to the Smithsonian Conservation Biology Institute this summer to assist scientists from all over the country in their efforts to create a new recovery plan for red wolves. Preliminary discussions about a breeding facility in Joneboro have begun, ASU Vice-President for Strategic Communications and Economic Development Jeff Hankins said. The facility would possibly be located at Craighead Forest Park, and would be a partnership between the university, the city, and private donors, he said. How much it will cost and specifics about the facility, and a timetable were not released. A breeding site would include extensive fencing and video surveillance, as well as daily staff oversight, to ensure safety for the red wolves and public. Hankins said private funding would have to be secured for capital, operating and staffing costs and estimates are still being developed. The effort would also require support and approval from local, state and federal officials. In July 2017, ASU announced plans to leverage its educational, research and communication resources to increase its national role in the preservation of the endangered American red wolf species. Its Arkansas Center for Biodiversity Collections is designated by the FWS as the national specimen bank for blood and tissues samples for red wolves. This collection will be used in research and conservation efforts, according to the university.